SEO tools are a dime a dozen. Due to the number of tools to choose from, it has prevented people from making the right decision. To help you decide on which tool to use, you need to understand what you want to achieve by doing SEO for your website. Here’s a post I wrote at BuildThis.io that explains how SEO works and the factors that you need to consider. Below is an easy-to-understand infographic that summarizes the details I’ve shared in the post. The purpose of tools is to make your job easier by assisting you in producing your desired result. Therefore, you want to choose a tool that provides all the data you need based on the tasks above. From here, you can focus on interpreting them and creating actionable items to round out your SEO strategy. If you want a tool that provides you with a full SEO experience, then Serpstat is one of your many choices. 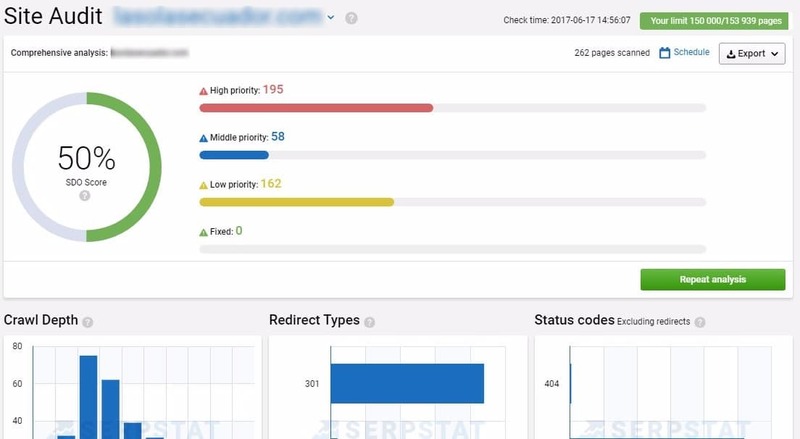 In this post, I will review Serpstat based on how you can use them to develop and implement a fully-formed SEO strategy. I will use the factors above as basis on how effective the tool is. Also, I strive to make my reviews objective as possible. This is neither an endorsement of the product nor was I paid to review it. If I happen to provide glowing reviews of Serpstat, it is because I truly believe it is a very good tool based on the factors I used to rate it. Same if I give out a less-than-stellar rating for it. Note: All links to point to Serpstat are affiliate links. Signing up for an account at Serpstat is free. However, if you sign up for a paid subscription, I will get a discounted price on my subscription with them. From the onset, Serpstat offers more than enough features to formulate and run an SEO campaign for your site. We will delve with each feature based on how helpful and useful they are in a bit. Researching target keywords for your site is arguably the most important part in building your SEO campaign. The type of keywords you will use will determine the success or your SEO strategy. Serpstat offers a wide range of keyword research features to help you find the best. Once logged in, type the keyword that you want to extract data. You will see basic information such as search volume, organic keywords, ads keywords, and others. 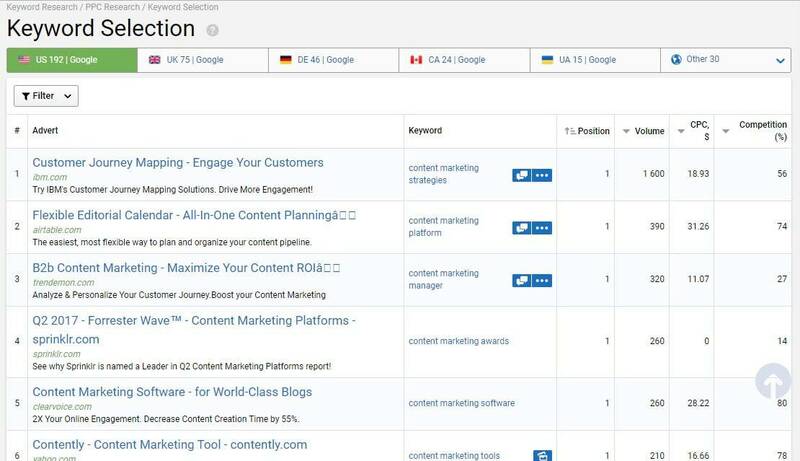 Most of these can be found on Google Keyword Planner, but Serpstat curates all information in one place to make it easier for you. The unique feature from this initial keyword search is the keyword competition in which the tool provides an aggregate score on how easy or hard it is to rank for the keyword on organic search. This is a great basis on whether or not you should choose the keyword for your SEO strategy. The higher the score, the more unlikely you will rank for it. Therefore, find keywords with low keyword difficulty (hovering from 0-40) so you can easily rank for each. Below are other unique features that will help make keyword research easier for you. Clicking on the Keyword Selection shows you the different search queries for the keyword you entered. 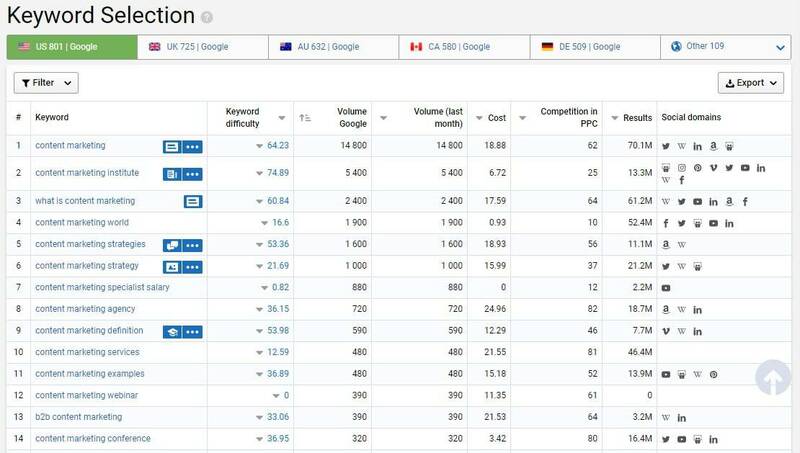 Aside from the usual data, you will see the keyword difficulty of all keywords in the list. You can arrange them from ascending to descending order and vice versa. This allows you to determine keywords with the lowest difficulty and target those to rank much easier on Google. The data also shows social domains ranking for that keyword. If there are lots of social domains ranking for a keyword, then you may want to consider optimizing for your own social media profiles as well to remain competitive. Keyword Selection does not take into account the relevance of each keyword based on your initial search. With Cluster Research, you can see how closely related each result is to your keyword based on the score provided by Serpstat. Under Search Suggestion, you will find more keywords to unearth based from your initial search. Unlike Keyword Selection, you can filter the results based on the most popular words that you can associate with the keyword. For example, clicking on “effectiveness” will reveal to me keyword suggestions that include “effectiveness” within the search query. If it continues to return lots of results, you can further narrow them down by clicking on more popular words until you find the right one for you. 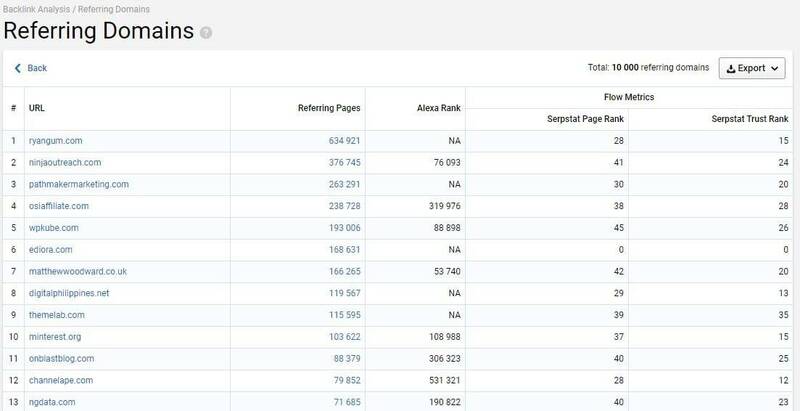 Lastly, the Top Pages show you the pages that rank for the keyword you entered. It reveals the social shares the page accumulated and organic keywords that the page also ranks for. Looking at the Keyword section, you will see pages that are ranking at the top of the ads section of Google search and what keyword they are ranking for. It also provides the average monthly search volume. CPC, and competition for your reference. You should be aware of how important content is in SEO. Developing content based on the best on-page SEO practices will help you rank it for your chosen keywords in the best position possible. Since part of developing content is to optimize it for a target keyword, you need to find the best keyword possible. For blog content, the best possible keywords to use are long tail ones. A blog post is meant to answer specific questions that your audience asks. You want to provide the most useful content based on their queries to increase your search rankings. This reason is why you should find long tail keywords for your blog posts. Most questions contain more than five keywords and are considered as a long tail search queries. Ranking for long tail keywords is much easier due to less competition. 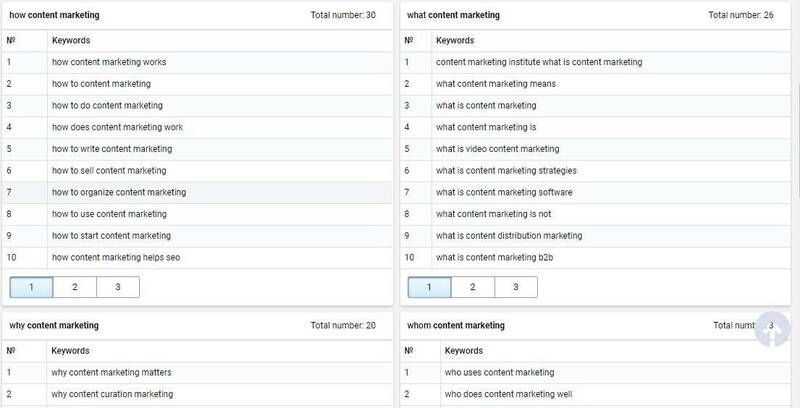 Serpstat’s Content Marketing features lets you find various questions searched online based on the five W’s (who, what, why, when, where) and one H (how). Suggestion: While this feature will return you hundreds of potential long tail keywords to use, I feel that it would be better to show from here the organic search volume and keyword difficulty. Both data will make it easier for users to evaluate from there which keywords to use. 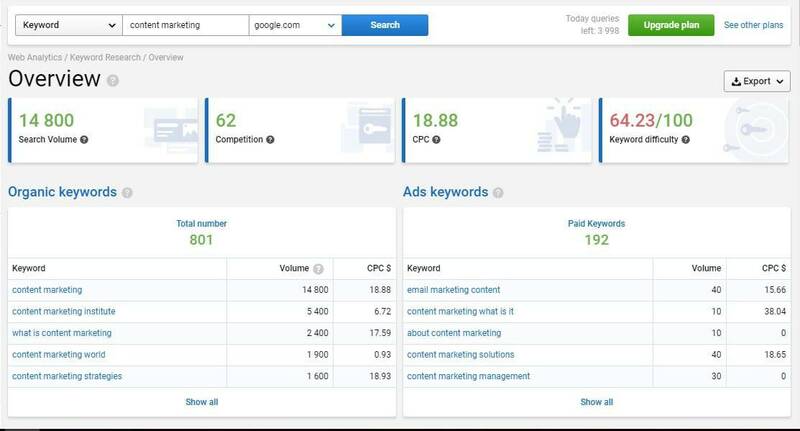 Verdict: Serpstat offers multiple ways on how to research target keywords for your site. You can use the keyword difficulty index to gauge how easy or hard it will be to rank for your site. However, it is noteworthy to point out that Serpstat only supports 12 Google search databases at the moment. Enter the domain you want to track and analyze for an overview. My favorite feature of Serpstat are the organic keywords that the domain is ranking for its pages. It allows you to dive into the data immediately without having to look for them individually. Showing all the results lets you see the exact pages that the domain ranks for the keyword. You can do this on your own site to see which keywords your site is ranking for. Use the data found here to identify low hanging fruit keywords so you can optimize your page further to boost its position to the top. You can also pit the domain with competitors by clicking on the Competitors feature. From here, you will see common keywords (those that you rank together) and missing keywords (those that one is ranking for and the other isn’t) to further understand your SEO when compared to others. You can also do a Domain vs. Domain comparison for a more comprehensive view of your site and a competitor. 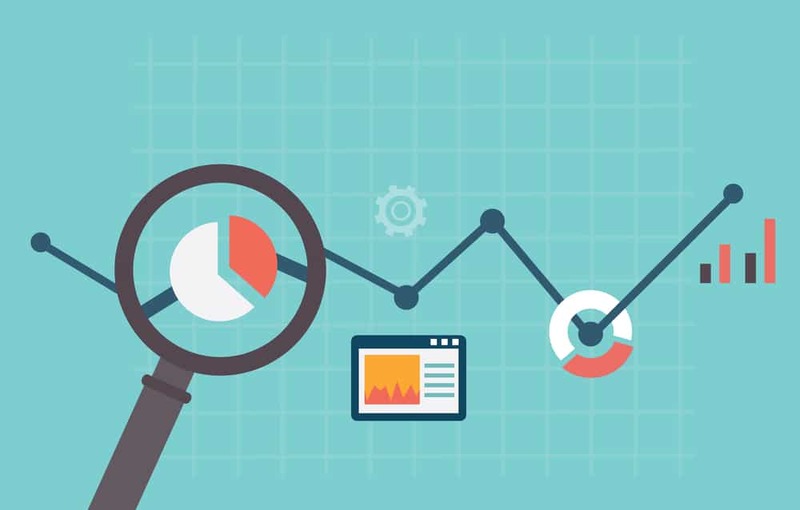 The Site Audit feature analyzes your site based on different SEO factors. You need to create a project to activate this feature. Below is an example of an audited site on Serpstat. It shows the aggregate score of the site based on the different factors. 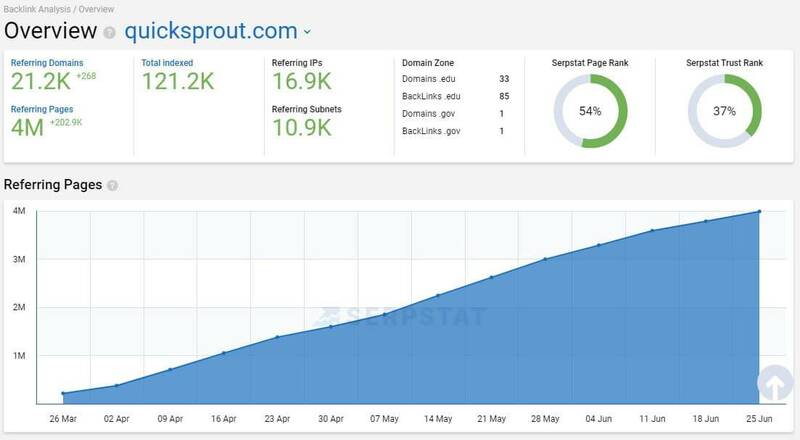 Serpstat provides data to help you develop your link building strategy using Backlink Analysis feature. You can manage your link profile or look at your competitors so you get a glimpse of how they acquire links to their sites. Below are some of the things you can do with this tool for your link building needs. Enter your domain or your competitors’ to get an overview of your or their link profile. From here, you will see the referring pages and domain, new and lost backlinks, and anchor texts that you have used to link to your site. In this page, you will see domains with the most links to your site. From here, you can analyze which sites are linking to you, which pages in the site where your links can be found, and why they linked to you in the first place. Also, you can see the Serpstat Page Rank and Trust Rank, both of which indicate the site’s quality. You’d want to get links from sites with high PR and TR, so both metrics will help you analyze which those sites are. This feature is perfect for competitive link building. Simply enter the URL of your competitor to peek into the sites linking back to it. You can then figure out how to acquire a link from these sites such as guest posting, blogger outreach, relationship building, and more. You can also see a breakdown of the new and lost backlinks of your site. You can use the data here to build relationships with sites that recently linked to it and reclaim the lost links. The data found in this section lets you how you distribute your anchor text for specific pages on your site. It should help you understand why you’re not ranking for a keyword – it’s probably because you don’t use the keyword as an anchor text when you build links. WANT TO LEARN HOW TO GET BETTER BACKLINKS FOR YOUR SITE USING SERPSTAT? CLICK HERE AND DOWNLOAD MY FREE GUIDE! 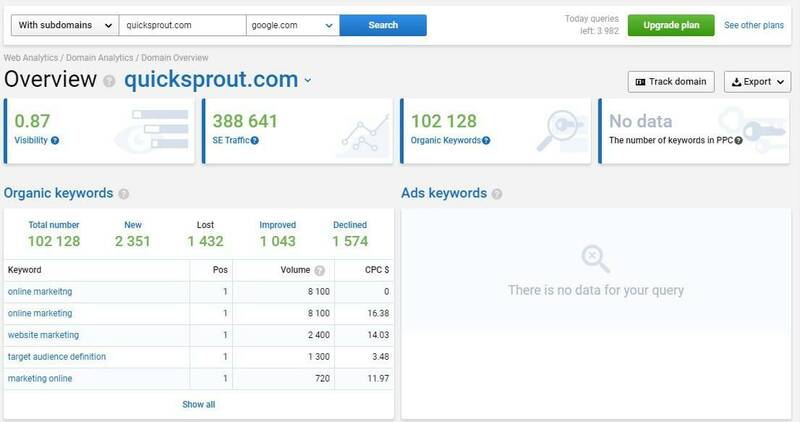 For comparison’s sake, Serpstat compares favorably with SEMrush, considered to be one of the best and most popular SEO tools in the market. Like Serpstat, SEMrush offers a wealth of features to supercharge the SEO strategy of your site or clients’. However, pricing is where Serpstat shines. It is a very affordable SEO tool for the things you can do with it. Below is the pricing list for Serpstat premium subscriptions. Click here to check out its features. For site owners and SEO hobbyists, the Plan A is good enough to provide you with data and improve your site’s SEO performance. Features like Missing Keywords and Cluster Research won’t be available and your queries for backlink analysis and search analytics are limited. However, if you want a tool that will help onboard you with the intricacies of SEO without being heavy on the budget, then this plan is perfect for you. Plans B to D are ideal for SEO specialists and agencies who want to squeeze out the most data from Serpstat to help power their client sites. For comparison’s sake, SEMrush’s prices range from $99 to $399 which is more expensive. 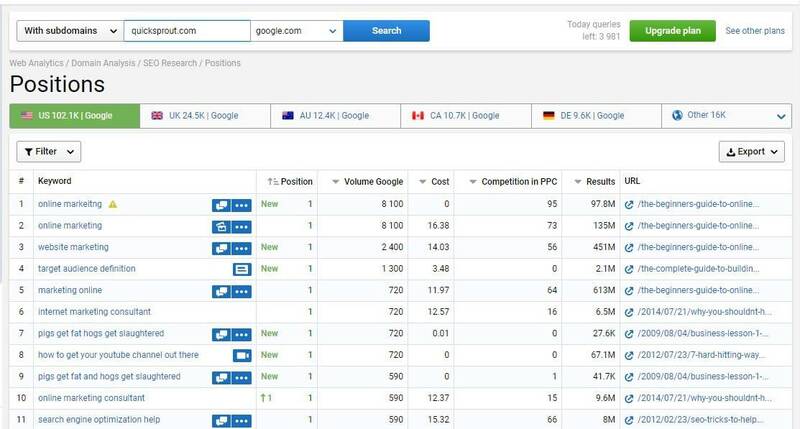 Also, Serpstat offers more keywords to track than SEMrush for its paid plans. More importantly, signing up for an account on Serpstat is free! The free account will give you access to the tool at limited capacity. The purpose of having it in the first place is for you to test it and make an informed decision to buy it or not. Click here so you can sign up for a free account. Based on the features above, Serpstat truly offers a legitimate be-all-end-all tool for all your SEO needs. 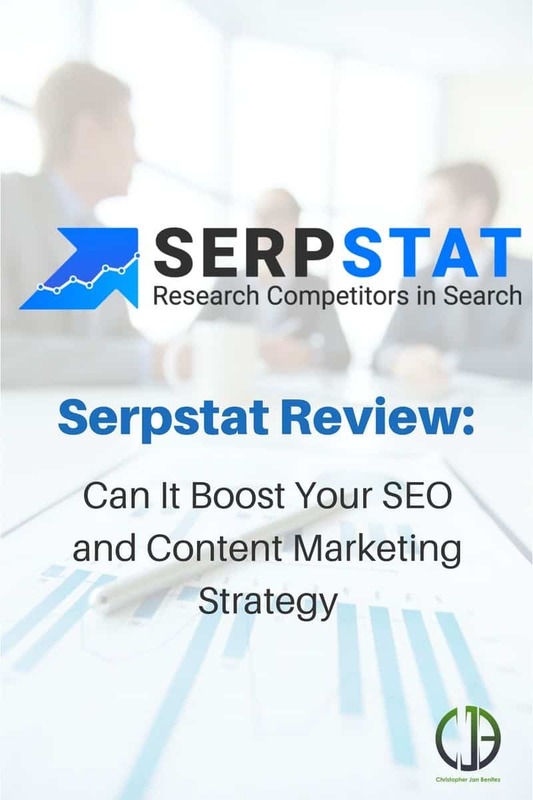 You definitely have your hands full with Serpstat as you research for keywords, find competitor backlinks, and improve your site’s SEO. At the same time, it’s seamless interface and self-explanatory data allows you to focus on executing your SEO tasks and deliver results. As mentioned, if you’re into local SEO, Serpstat may not be for now because the tool only supports 12 Google search databases at the moment. This is my biggest gripe against the tool, but hopefully, Serpstat expands its databases so other people can find more use for it. As it stands, however, Serpstat comes in highly recommended on all accounts, whether you’re an SEO beginner or an expert. I suggest that you click here and sign up for a FREE account. You can upgrade it later once you feel that it’s the tool for you.